This infographic is a visual depiction of ten steps for a successful accounting software search. The search for accounting software can indeed be a wild, wild quest! Using these ten steps can help keep you on track in your search, and help you find the right product for your business. We encourage you to share this infographic. As an accounting and payroll software development company, we talk to customers everyday who are looking to make data entry processes more efficient. Thankfully Red Wing Software products have the capability of helping in various ways. Use these features to avoid data errors and increase data entry efficiency! Using time clocks or other time capture tools can decrease the amount of time spent processing payroll. Instead of entering data by hand, you import the data that has been collected in the time clock or other device, directly into your payroll software. You can map the fields of information you need to import to your payroll software, so that only the information you desire is imported along with the time. When entering new information into the system, make use of the recall, recurring and copy functionality instead of entering the data manually. These tools provide a way for you to copy from data that’s already in the system. Consider how many similar transactions, employees, customers, and more that you enter over the year, and you will see why this is such a time-saving feature! If there is a piece of information you need to update for a wide variety of records, you can use the mass update function to save significant time! One example is the updating of vendors to be marked as 1099 vendors. If you need to update several vendors at once, use the mass update tool! It allows you to see a list of vendors available, pick from a list which ones to change, and then make those changes all at once. The same update function is available for employees, customers, vendors and other master files. Whether you are using Red Wing Software or other accounting and payroll software, using these functions can save time and make your work more efficient! CenterPoint Accounting for Agriculture is rich with features that can help you and your operation. In this post we have uncovered some ‘hidden gems’, features within CenterPoint Accounting for Agriculture that you may not currently be using, but that can help you and your business. These are features that our customers and the Red Wing Software support team have described as valuable, yet you may not be aware they are available. They are actually not at all hidden, but readily available within the program for you to use! Split Expenses CenterPoint allows you the option of splitting expenses by enterprise and expense. You can set up expenses to be split by a percentage to the office, a percentage to the farm, etc. This is a huge time saver and helps you distribute expenses accurately. Customizable Transaction Entry Make transaction entry much easier by only stopping on fields where you enter data often. CenterPoint also allows you to add, remove and sort columns on the transaction entry screen for quicker and easier entry. Reminders Set up reminders in CenterPoint Accounting to help keep you organized and on time! Reminders can be set up as “Conditional Balance Reminders” that tell you when you checking balance goes below a certain number, ”Payable Reminders” that remind you to pay your accounts payable invoices, “Scheduled Reminders” that let you setup any kind of a reminder for a certain day to pay rent, maintain your equipment, and more. Amortization Schedule Use the CenterPoint Amortization Schedule to calculate interest and principal amounts when planning for loans. “What-If” Scenarios Gain control of your finances by creating “what-if” scenarios in CenterPoint Accounting for Agriculture. This powerful feature allows you to project future sales, cash flow, income statements, assets and liabilities. You can compare “what-if” budgets with actual and projected figures for years into the future. Once you start tracking this information consistently, your farm operation will begin to operate more smoothly and profitably. Customizable reports You have the ability to pull out the information you need, whether requested by auditors, management, or others. CenterPoint makes it easy with the ability to modify reports, or even create a custom report from scratch. No need to be a programmer; the custom report tools are built for all users! 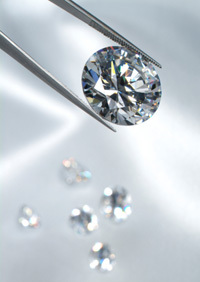 Wondering how to get started using these hidden gems? Call today and we will be happy to help you! 800-732-9464. 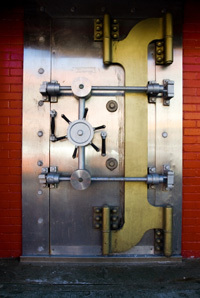 Thinking about ways to improve your payroll processes? In this post we have uncovered some ‘hidden gems’, features within CenterPoint Payroll Software that you may not currently be using, but that can help you and your business. These are features that our customers and the Red Wing Software support team have described as valuable, yet you may not be aware they are available. They are actually not at all hidden, but readily available within the program for you to use! Reminders Set up reminders in CenterPoint Payroll to help keep you organized and on time! Set up a reminder to pay your taxes when they are due, change the status of an employee’s benefits after a certain time period, and much more. Customizable reports You have the ability to pull out the information you need, whether requested by auditors, management, or others. CenterPoint Payroll makes it easy with the ability to modify reports, or even create a custom report from scratch. No need to be a programmer; the custom report tools are built for all users! The Campbell Family (Total Seed Production, Inc.) has been a family business since 1936 – formally Campbell Seed, Inc.). Campbell Seed sold the retail portion of the business in 2006 and started Total Seed Production at the same facility. Total Seed Production is still owned by Scott Campbell, CEO; daughter Christy Conaway and husband Aaron Conaway, President and son Ryan Campbell, Vice President. The farm (place of business) has been in the family since 1850. 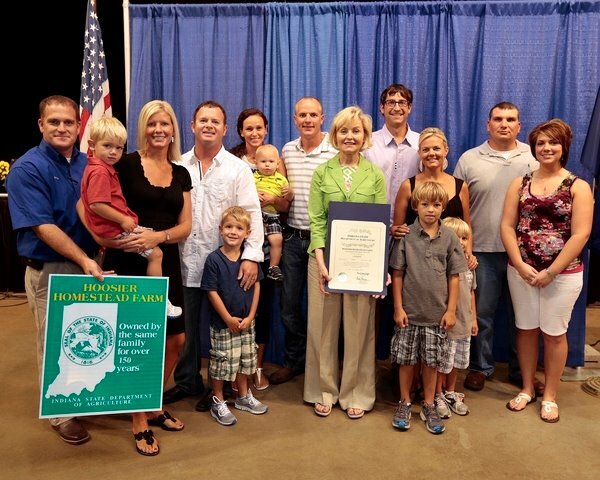 The Campbell Family was the proud recipient of the Sesquicentennial Award at the 2012 Indiana State Fair. The program was instituted in 1976 and recognizes the contributions these family farms have made to the economic, cultural and social advancements of Indiana. In the past 30 years, more than 5,000 farms have received the honor. (In the photo: Ryan, Andrea & Charlie Campbell; Carrie, Lucky, Dallas & Parker Capshaw; Christy, Aaron, Maverick & Oliver (not pictured son Raleigh) Conaway; along with employee Matt Cline. Visit their Web site at www.totalseedproduction.com.